In order to make accessible new Semantic Web Services technologies to the end users, the level of tools supporting these technologies should be significantly raised. 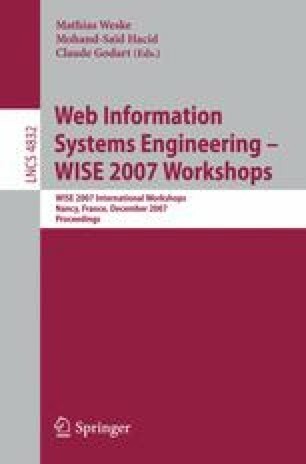 The paper presents such a tool - an INFRAWEBS Designer – a graphical ontology-driven development environment for creating semantic descriptions of Web services and goals according to WSMO Framework. The tool is oriented to the end users – providers of Web services and semantic Web services applications, who would like to convert their services into WSMO based semantic Web services. The most character features of the tool – intensive use of ontologies, automatic generation of logical description of a semantic service from graphical models and the use of similarity-based reasoning for finding similar service descriptions to be reused as initial templates for designing new services are discussed.